Did you know April is National Recycling Month? November 7 to the 12th is Meat Week in New York City! Help celebrate those farmers, markets who help work towards providing sustainable meat products to the Big Apple. According to Clean Plates, “Meat Week is organized by great folks at Food Karma Projects, in collaboration with Grow NYC, Food Systems Network NYC and Just Food. The festivities include tastings, demos, tours, talks and even parties. Organizers have also set up a Relief Fund for those farmers affected by Hurricane Irene. 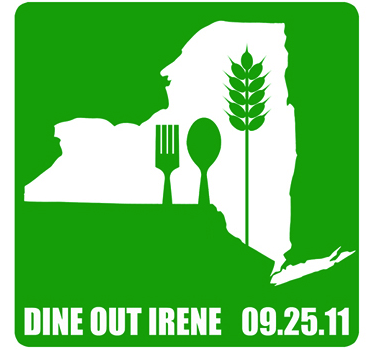 This September 25, 2011, help local farmers devastated by Hurricane/Tropical Storm Irene by eating out at some New York City restaurants. Participating restaurants will give up to 10% of their sales to Just Food and Grow NYC. Check out Dine Out Irene for more information. For Earth Day, Glee‘s Matthew Morrison played host to the DASANI Plant Model Fashion Show, which was held at The Grove in Los Angeles and featured outfits–all made from 100 percent plant–by Yotam Solomon. Apart from being a fashion show and a celebration of Solomon’s work, the event also launched the new DASANI Plant Bottle packaging; DASANI bottles are now eco-friendlier and are made up of 30 percent plant. Shown on the left is Morrison with two of the models in the show. 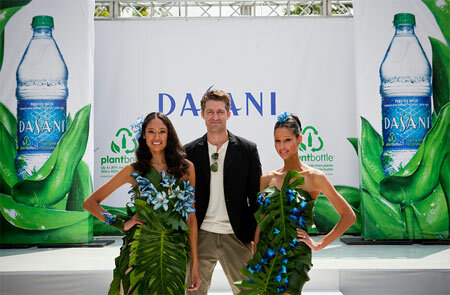 See the rest of the pictures on DASANI Plant Model Fashion Show’s Flickr. 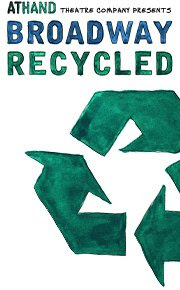 At Hand Theatre Company’s annual Earth Day concert, Broadway Recycled, is this Monday, the 25th of April. It’s at 7 PM and 930 PM at Joe’s Pub in New York City. The concert features songs cut from musicals. Even songs shouldn’t go to waste. The show benefits the Broadway Green Alliance and At Hand Theatre Company. Take a cue from these dogs and cats. Shut off your lights for Earth Hour tonight from 830-930 PM. Or longer.